Just in case you weren’t able to stay up-to-date with everything that’s happened this week, we’ve got you covered. Click here to find out about all the important goings-on in the world. In this list, we focus more on uncanny stories. There’s a bit of everything this week. We learn new stuff about the celestial objects around us, both near and far. We solve two decades-old mysteries but end up with a new 3,000-year-old one. We find out that animals can do some pretty neat things like scale giant buildings and count to zero. And not to dismiss human endeavor, we also look at the people who set the world skinny-dipping record and the ones who built the first psychopath AI. It has been mentioned before that NASA doesn’t have the most diligent people in the world when it comes to preserving their old tapes. Just recently, researchers were able to uncover hundreds of archival tapes which they used to solve a mystery that has been puzzling scientists for over 30 years. 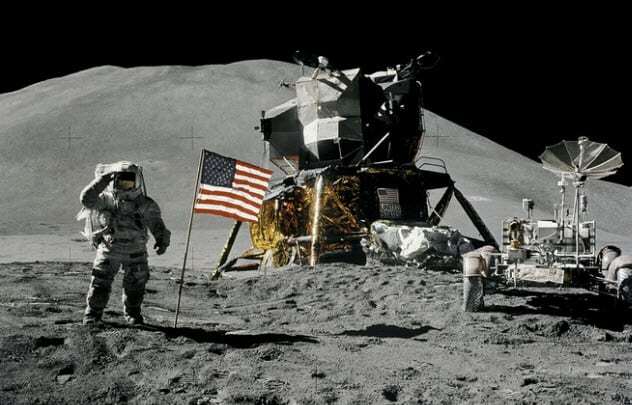 During the Apollo 15 and 17 missions from 1971 and 1972, respectively, astronauts installed probes on the Moon to measure its subsurface temperature. The goal was to determine how much heat moves from the center to the surface and establish if the celestial body had a hot core. Over the years, a different head-scratcher puzzled NASA: The Moon was warming up slightly, but nobody knew why. The experiment ended in 1977. For some reason, NASA only archived tapes from 1971 to 1974. The rest were presumed lost. In 2010, a team led by Seiichi Nagihara from Texas Tech University in Lubbock, Texas, tracked them down and found 440 tapes covering 1975–77 stored on the shelves of the Washington National Records Center in Suitland, Maryland. After years of extracting and analyzing the data, they figured out that human interference was to blame for the warmer temperatures. The act of landing and moving around was enough to disturb the surface of the Moon and expose the darker soil underneath. This absorbed more heat from the Sun, which was enough to increase the temperature of the regions measured by 1–2 degrees Celsius (1.8–3.6 °F). Over 2,500 naked women gathered at Magheramore Beach in Wicklow, Ireland, and went for a swim to set a new official Guinness World Record for the largest skinny-dipping event in history. The event was organized by Dee Featherstone to support a pediatric cancer charity called Aoibheann’s Pink Tie. This was the sixth year in a row that the swim took place. The first year was just Featherstone herself and 60 friends and family members looking to support her after a cancer diagnosis. This year, 2,505 women braved the cold waters for five minutes to officially claim the Guinness record. They shattered the previous record of 786 set in Perth, Australia, in 2015. However, the Aussies are already planning a swim in February 2019 to take back what was theirs. The modern image shows a man walking with his significant other while looking back at a beautiful woman passing them in the opposite direction. Text is usually added to convey the feeling of wanting something off-limits while ignoring what you already have. 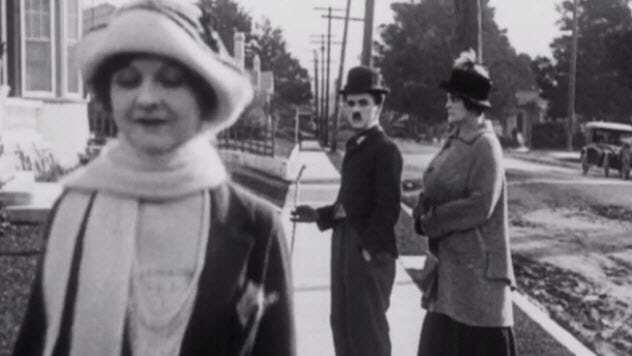 The Chaplin scene plays out pretty much the same, although the still was mirrored to better resemble the modern meme. The “distracted boyfriend” image was identified as a stock photo originally posted under the description “Disloyal man with his girlfriend looking at another girl.” It started being used as a meme at the beginning of 2017, but there is no evidence to suggest that either the original photographer or the meme creators purposely tried to imitate the scene in Pay Day. A similar story came out a few months ago. People found striking similarities between a modern meme known as “What you think you look like vs. What you actually look like” and an illustration from a 1921 issue of a magazine called Judge. 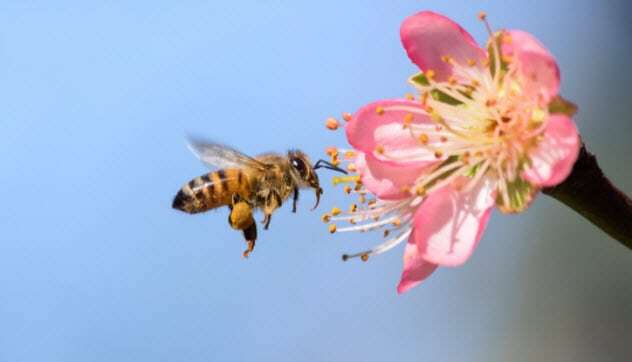 A study by a team of scientists from Australia and France recently published in Science touts honeybees as the first insects that have proven the ability to understand the concept of zero. Besides showing that they distinguish “nothing” from “something,” the bees also placed zero at the low end of a positive numerical sequence. For the experiment, researchers lured honeybees to a screen with white cards displaying between two and five dark shapes. Using sweet water as a reward, some insects were trained to head for cards with low numerical values while others went for cards that displayed more items. This part was inspired by a previous study which showed that honeybees can count up to four. After a day of training, researchers introduced new cards that were blank. The bees were able to recognize that these should be placed at the lowest end of the scale, and they did it consistently. Moreover, the insects got better as the blanks were used alongside cards with more and more shapes on them. The next step for researchers is to use trained and naive bees together to see if this ability is innate or can be imparted through training. 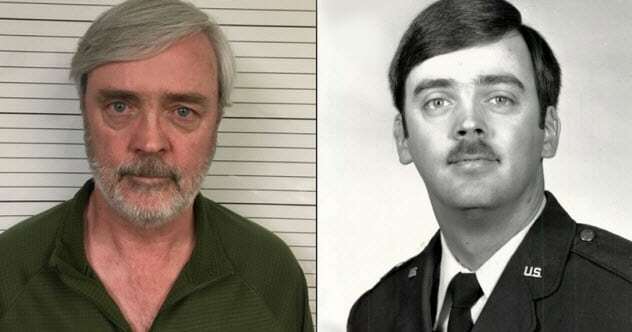 A former US Air Force officer who mysteriously vanished 35 years ago was found living under a fake name in California. Captain William Howard Hughes Jr. was last seen in New Mexico in July 1983 after withdrawing close to $30,000 from his bank account. The air force opened an investigation, but after failing to locate him, officially declared Hughes a deserter in December the same year. At the time of his disappearance, Hughes was a high-ranking officer with “Top Secret/Single Scope Background Investigation” clearance. In the midst of the Cold War, a commonly held belief was that the captain had either been abducted or had defected to the USSR. As it turned out, the evanesced officer hadn’t defected and wasn’t kidnapped. He had just changed his name to Barry O’Beirne and moved to Daly City, California. He confessed to his true identity while being investigated by the US Department of State. According to Hughes, he disappeared because he was depressed about being in the air force. If you ever wondered what a mash-up superhero of Spider-Man and Rocket Raccoon would be like, you’re in luck. Such a daredevil was spotted earlier this week in St. Paul, Minnesota. The raccoon spent the better part of Tuesday scaling the walls of a 23-story building before finally making it to the roof safely in the wee hours of Wednesday morning. The animal was initially spotted sitting on a ledge near the ground floor. Building employees fashioned a couple of planks into a makeshift board and tried to get the raccoon to climb down. However, the critter started scaling the walls. It spent most of the day going up and down the side of the building, occasionally stopping on ledges for naps. Local media livestreamed almost the entire event. More and more people gathered at the base of the building to root for the “trash panda” who became known as MPRraccoon after the Minnesota Public Radio building across the street. The animal reached the roof at around 3:00 AM. Despite this, it was another five hours before it was brought down safely. Not wanting to scare the raccoon into climbing down the side of the building again, Wildlife Management officers set a trap and patiently waited for the critter to be lured in by appetizing cat food. 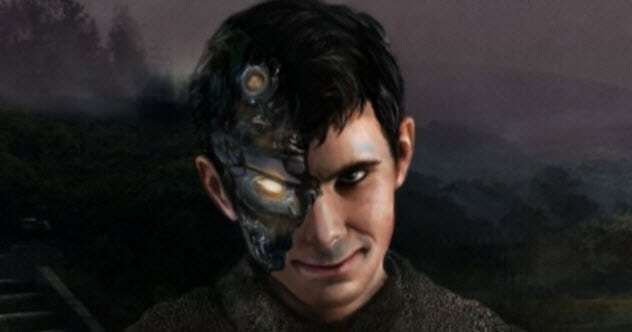 Scientists at MIT created the first psychopath artificial intelligence. They named it Norman in honor of Alfred Hitchcock’s infamous character from Psycho. Norman was exposed to the dark corners of the Internet—specifically, a subreddit dedicated to violence and death. Scientists used image captioning to train the AI to generate and learn from text descriptions of images. Afterward, he was administered a standard Rorschach test and his results were compared to those of a standard AI. In an inkblot where the other artificial intelligence saw “a person . . . holding an umbrella in the air,” Norman saw “a man . . . shot to death in front of his screaming wife.” In another where the AI described a “black-and-white photo of a baseball glove,” Norman reported a “man murdered by machine gun in broad daylight.” And so on. The Psycho AI was first launched on April 1 as a joke. Since then, MIT researchers have asserted that Norman makes a good case study showing how easily AI can be corrupted by biased data introduced to its learning algorithm. At the moment, people can actually take part in the study by taking the same inkblot test. Their answers will be fed to Norman to see if it is possible to fix an AI gone rogue. An exceedingly rare archaeological find is simultaneously exciting and puzzling scholars. It is the statue of a king’s head in excellent condition from the ninth century BC. However, nobody is sure who the king was or what kingdom he ruled. The 5-centimeter (2 in) statue was discovered in Israel at a site called Abel Beth Maacah near the country’s border with Lebanon. It is made out of faience, which was a common material used 3,000 years ago in Egypt and the Near East for figurines. 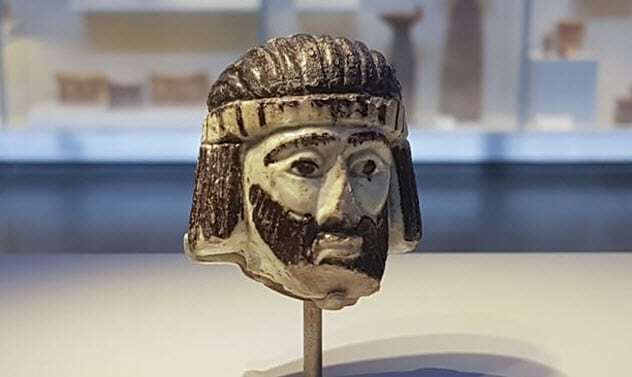 Even so, the head is well-preserved except for a chunk missing from its beard and is of exquisite quality compared to other figurative art from the Iron Age. The big question is: What person is depicted by the statue? Scholars believe that he is a biblical Near Eastern monarch. In the ninth century BC, the city of Abel Beth Maacah was situated between three regional powers: the Israelite Kingdom, the Aramean Kingdom and the city of Tyre. The Old Testament mentions it on a list of cities conquered by the Aramean king Ben Hadad. Is that the person depicted by the statue? It could be, but it could also be King Ithobaal I of Tyre or one of the kings of Israel. The debate is still ongoing, but the excavation team is hoping to find more clues at the same dig site. A woman in Tokyo received quite a surprise when her husband who had been “dead” for a year showed up on her doorstep. The man went missing in June 2017 from the capital’s Katsushika Ward. A body found three days later matching his description was turned over to his wife. She and two other relatives positively identified her husband. The family then cremated the body. Earlier this month, though, the woman alerted authorities that her husband had come back safe and sound this May. So far, police have refused to give any details surrounding the man’s disappearance. Authorities concluded that the body belonged to another man of similar height and age who disappeared around the same time. They apologized for the mistake, specifying that the deceased is usually returned to his family after a simple visual inspection if the death is deemed unrelated to crime. However, this doesn’t really explain how three relatives of the “resurrected” husband misidentified his body. 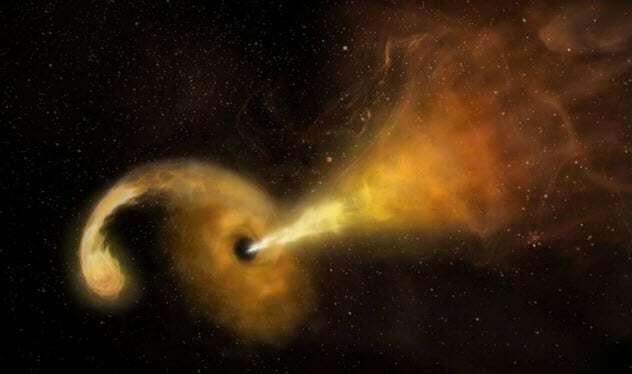 For the first time ever, scientists have announced that they observed a supermassive black hole feasting on a star and “burping” out a jet of material at one-fourth the speed of light. The study, recently published in Science, is the culmination of over a decade of data gathered from telescopes around the world. The black hole is located in Arp 299, a pair of colliding galaxies nearly 150 million light-years away. It boasts the mass of 20 million Suns while its “lunch” was a star roughly two to six times as massive as our solar companion. We first discovered the phenomenon in 2005 when it was observed by a team at the University of Turku in Finland. It was soon confirmed by astronomers from the Institute of Astrophysics of Andalusia in Spain who were searching the same area. Initially, everyone thought they were seeing a supernova. Subsequent infrared observations showed that the source was too bright to be a nova. Scientists concluded that they were dealing with a tidal disruption event (TDE). A TDE occurs when an ill-fated star gets too close to a supermassive black hole. Ripped in two, half of the star is added to the disk of debris surrounding the black hole while the other half is flung into the dark desolation of space. TDEs are rarely detected events, although some scientists speculate that they actually occur quite often. This is the first time that we were able to directly observe the essential stages of a TDE, including the eruption of particles at the end. Read more offbeat stories you might have missed from June 9, 2018, and June 2, 2018.